Cantor Deborah Jacobson and her family are excited to be back in New York and she is thrilled to become the Cantor of The Reform Temple of Forest Hills and to team up with Rabbi Kaiserman, Faye Gilman, and the leadership of this spirited and positive community. Raised in New Rochelle, New York, Cantor Jacobson received her B.A. in Voice/Theater and English Literature from New York University and her Masters of Sacred Music and Ordination of Hazzan (Cantor) from The Jewish Theological Seminary of America (JTSA) on the Upper West Side of Manhattan. Raised in a modern Orthodox Jewish home, Cantor Jacobson has proudly served at a Reconstructionist, Conservative, and Reform Synagogue as Cantor. Although she clearly and passionately identifies as a Reform Jew and has for many years, her experience in the various movements enable her to bring a unique perspective and sensitivity to her work as a Jewish clergy. Cantor Jacobson served as Cantor at Temple Ahavat Shalom in Palm Harbor, FL from 2005 through June 2016 with Rabbi Gary Klein. Before that she worked with Rabbi Joshua Hammerman at Temple Beth El in Stamford, CT and with Rabbis Avi Winokur and Yael Ridberg at West End Synagogue in Manhattan. 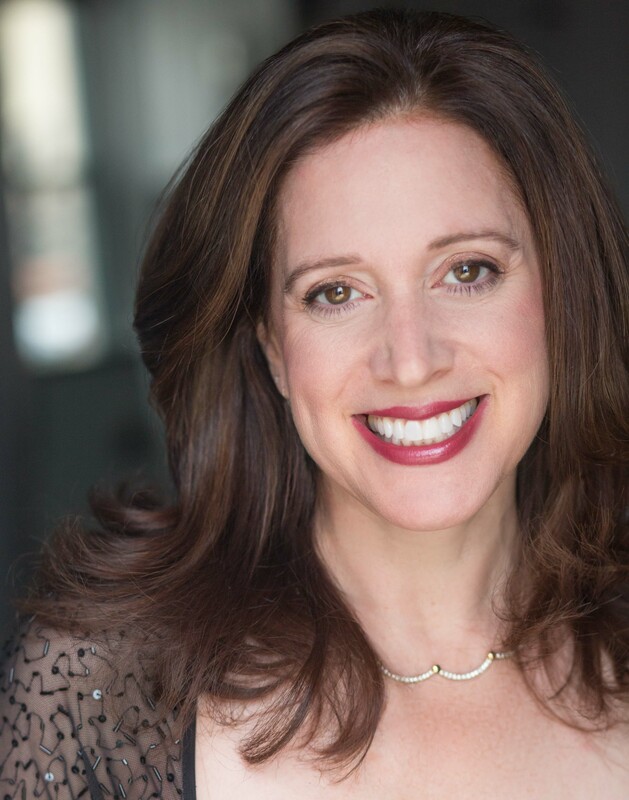 Cantor Jacobson participates in many community programs, both Jewish and Interfaith, adding the beauty and inspiration of prayers and music wherever and whenever she can. She is thankful every day for the holy work she is able to perform. Cantor Jacobson feels blessed to be able to lead adult and youth/teen choirs in traditional and contemporary melodies of our prayers, teach B’nai Mitzvah students and adults Torah and Haftarah Trope and officiate at all lifecycle events. She is always looking for ways to include people of all ages in singing and in loving Judaism! Cantor Jacobson is a certified facilitator of Prepare-Enrich: Building Strong Marriages and is a certified facilitator of Strong Girls, Healthy Relationships. In 2002, right out of Seminary, Cantor Jacobson created a unique, upbeat rockin’ Shabbat service with a full band called Shabbat Unplugged. A CD of music from that service as well as other CDs of her music can be found at her website www.deborahjacobson.com or www.cdbaby.com She is especially proud of her recently produced CD, Songs of Healing & Hope. A published author, Cantor Jacobson has appeared nationally on TV shows such as Good Day New York, NBC Weekend Today and ABC Eyewitness News in the Morning. She was featured on Lifetime TV on a special segment about women clergy and on radio stations across the country including NPR. Cantor Jacobson is a member of the American Conference of Cantors, the Cantor’s Assembly, and the Women Cantors Network. She has served on the development and fundraising committee of the American Conference of Cantors, the membership committee of the Cantor’s Assembly, the national leadership council of Jewish Women International, as President of the Bay Area Cantorial Association, and on the Tampa board of Jewish National Fund. She is a lifetime member of Hadassah. Cantor Jacobson lives in Forest Hills with her daughter Shira and their dog Lola. Her other daughter, Maya, is a student at The Boston Conservatory as a musical theatre major. Cantor Jacobson is delighted to live in the community she is serving.